Umzamo Analytical Services has, in just three short years, secured clients that include the likes of Eskom, Just Coal, Sumo Coal, Wescoal and Keaton Energy and it all began with one woman’s dream to strike out on her own and make a mark on South Africa’s coal industry. Umzamo Analytical Services (UAS) was founded by Audrey Ndlovu in 2012. Her background expertise includes running one of the world’s largest and most well known coal testing facilities, the Richard’s Bay Coal Terminal. With the aim of becoming the number one choice in coal sampling, preparation and testing, Audrey put it all on the line and three years later it has paid off – thanks to her dedication, expertise and staff-centric approach to business. 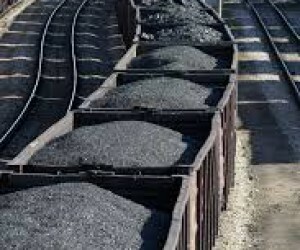 From their laboratories in Ermelo, Vryheid and Witbank, UAS offers a diverse range of coal sampling and preparation services as well as laboratory services that include a number of industry-specific coal sample measurement tests. Their project expertise extends from complete laboratory set-up and management to plant bias and efficiency testing. Their solid accreditation by SANAS includes ISO 17025 for laboratory management as well as ISO and ASTM methods for coal sampling and analysis. While this level of accreditation is attractive to both their existing and future clientele, UAS’ success is built on their staff. “I chose to seek out employees that needed the opportunity to fly as opposed to building my success on the backs of others,” says Audrey who has instilled a strong policy of uplifting future graduates within the company. Just over 40% of UAS employees are young up and coming thought leaders and future engineers. Audrey has gone out of her way to ensure that they all complete their degrees with the opportunity of employment at UAS to build up their experience and skill set. UAS is indeed at the forefront of innovation in the coal analysis industry, boasting latest technology equipment thus benchmarking with the world’s best. “Of course working within one of the world’s most demanding mining environments requires that we stay ahead of the curve in order to be competitive. This necessitates the installation of world class equipment,” says UAS Chairman, Sipho Mosai. “Our clients rely on us to provide uncompromised, analytical results that enable them to make factual and financially sound decisions that will ultimately lead to them to seeing the maximum yield from their products. 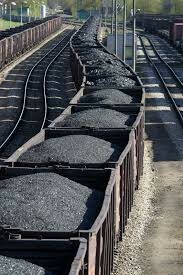 The analysis of energy materials and minerals at any point in the production and distribution chain must be done with the utmost attention to accuracy and best practice.UAS is aware that impartial, independent analysis is critical for the successful operation of the South African coal trade. UAS offers a comprehensive suite of analytical services to meet the needs of coal producers, transporters and consumers both across South Africa and beyond our borders.Accurate results from proximate and ultimate analysis of coal are an important step in mining and processing operations. Ideally, these tests should comply with accepted international standards and be conducted under the strictest laboratory controls. UAS has the equipment, accreditation and the experience – backed by a team of expert staff–to give the results that clients in the industry need to ensure the maximum value from their products.